The Deco is a stylish and elegant mug with a large capacity. 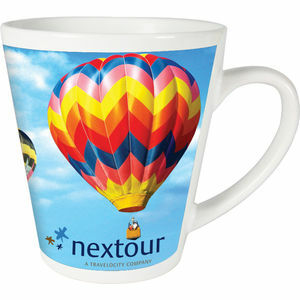 This ceramic mug is available with direct pritn as well as the full colour treatment. Dye sub allows full colour photographic designs with the most vivid colours.